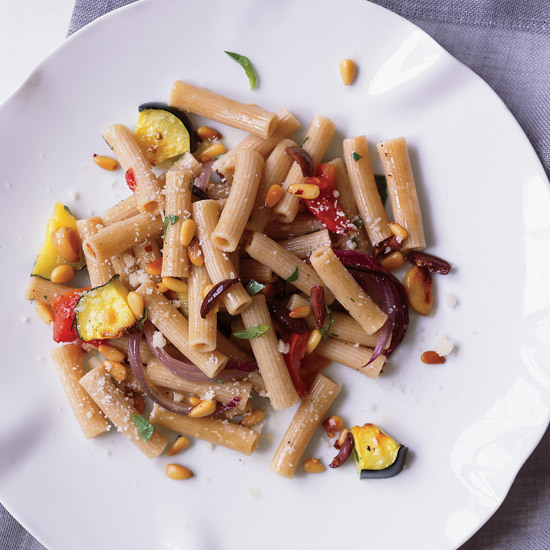 From whole wheat rigatoni to spicy turkey posole, here are deliciousrecipes to pair with cool climate wines. 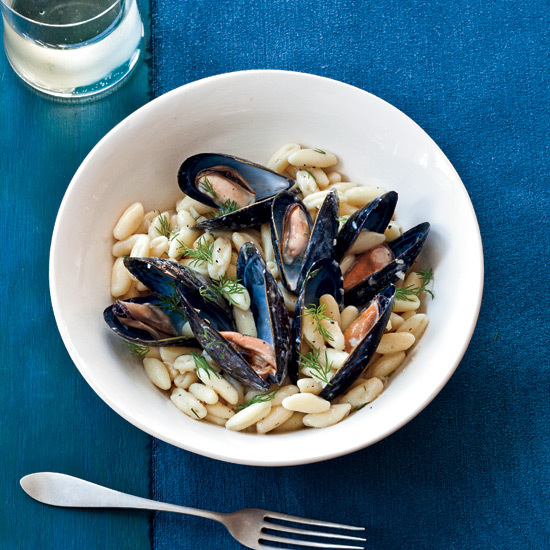 The perfect match for this creamy cavatelli-and-mussels dish: Muscadet, a coastal wine that's superb with shellfish. 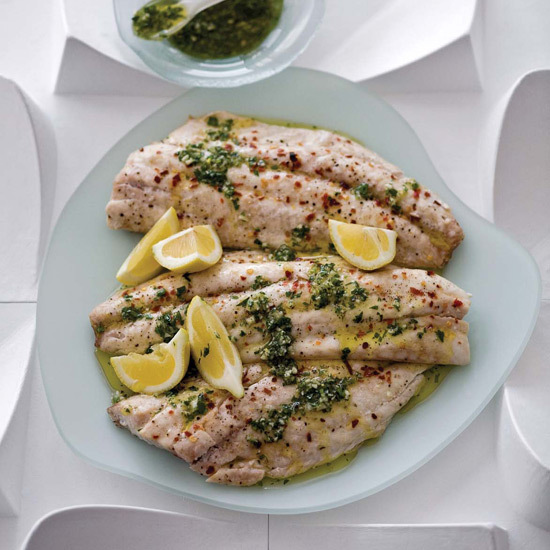 Donald Link suggests grilling or roasting this fish, then serving it in its hardened skin ("on the half shell"). 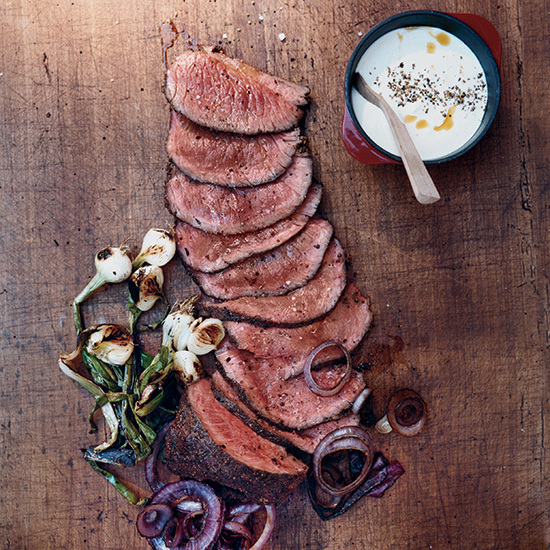 You can also use a large, flexible spatula to slide the fillets off the skin and onto a platter, discarding the skin, for a more elegant presentation. Redfish—a white-fleshed fish with big scales that are hard to remove—is an ideal choice, but striped bass is great too. You'll have to buy the fish directly from a fishmonger; ask him to leave the scales on the fillets. Since fresh coconut juice can be hard to find, use a combination of water and canned coconut milk instead. 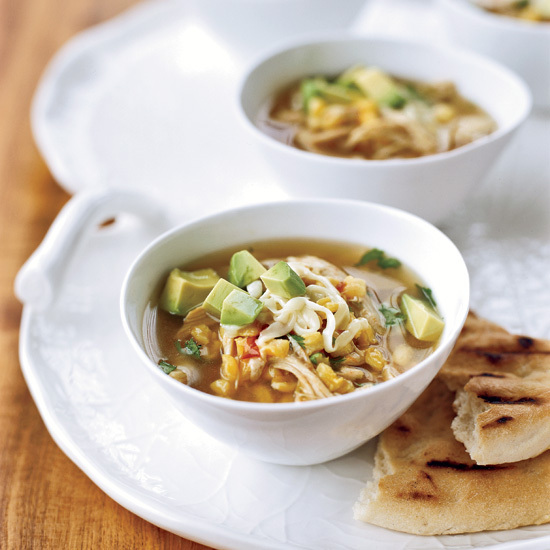 Posole is a hearty Mexican soup or stew made with hominy (dried corn kernels with the hull and germ removed) and pork or poultry. 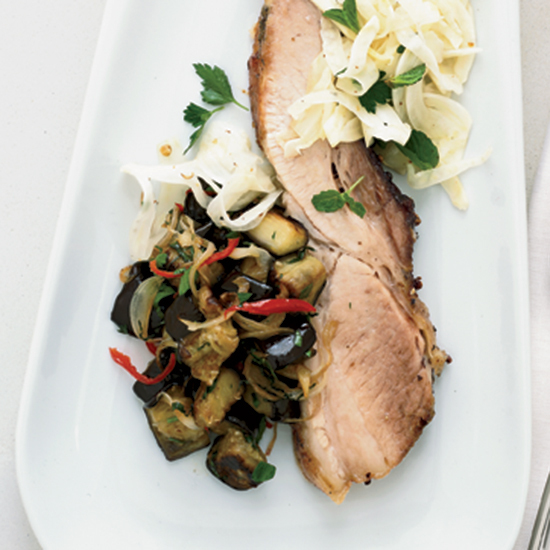 Tim Love finds that the recipe is an excellent way to use up leftover turkey. 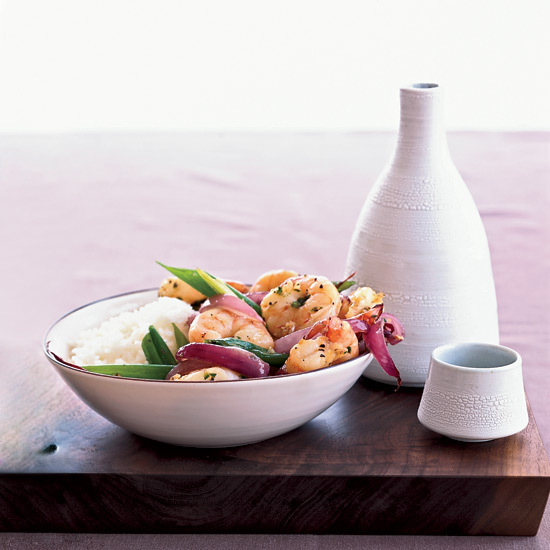 Scampi refers to shrimp that are split, brushed with garlicky butter and broiled. 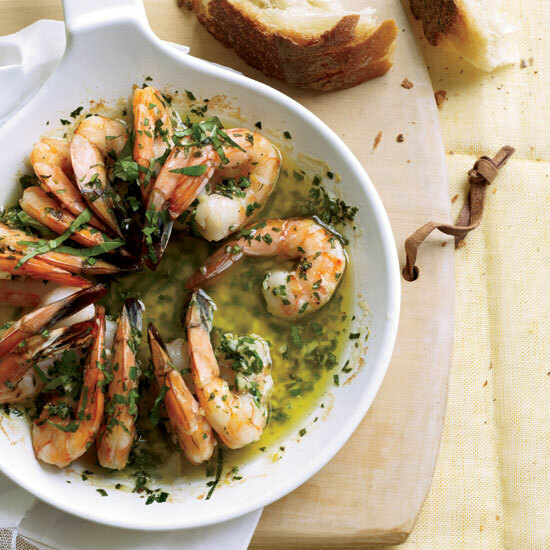 The recipe here calls for flavoring butter with lemon, garlic, parsley and thyme, then dotting it liberally on shrimp and roasting the shellfish until it sizzles. 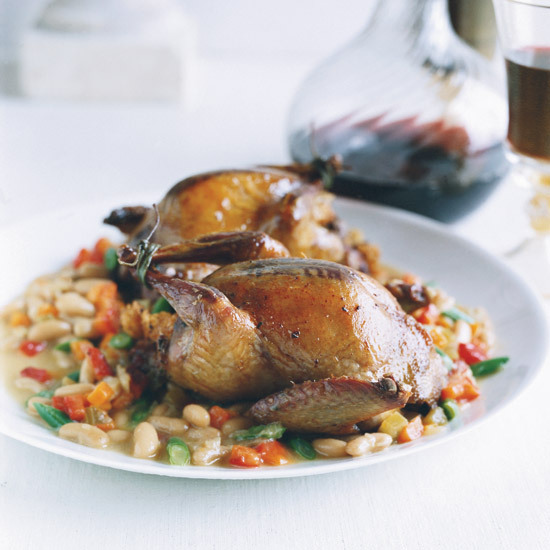 "It's traditional to stuff birds with plain bread," restauranteur Celestino Drago says, "but I like to use focaccia with herbs; it's nicer." 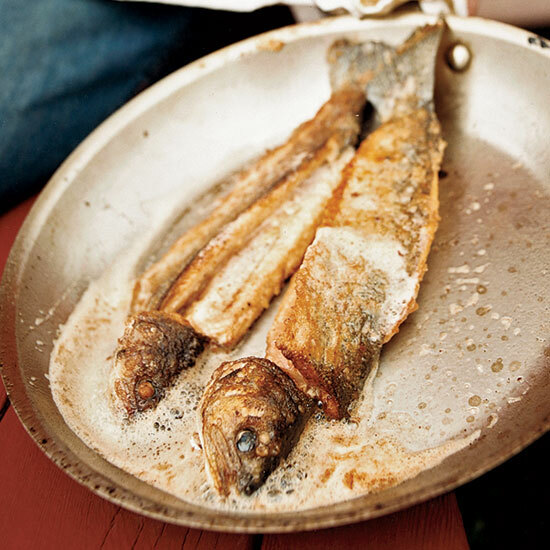 This crispy trout recipe is an adaptation of one of chef Rollie Wesen's signature dishes.